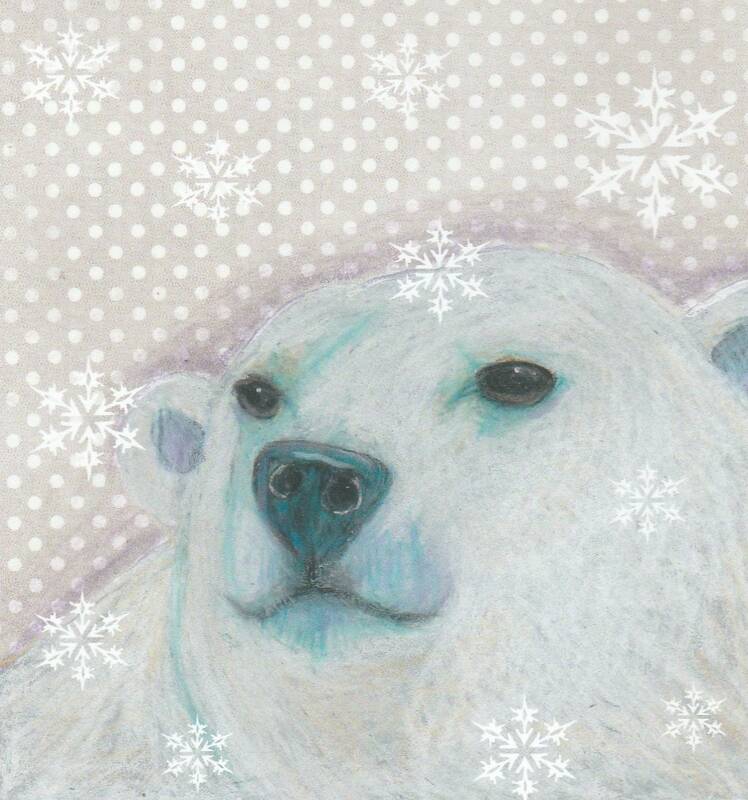 This sweet polar bear is here to wish everyone a happy holiday season. Whether it be Christmas or Hanukkah this is the perfect card. It has glitter on the snowflakes and comes with a matching envelope. Also a nice card for Winter Solstice or New Year's. The cards measure 4.5" x 5" and comes in a cello sleeve for protection. All of my cards are buy 5 get one free. Just message me!